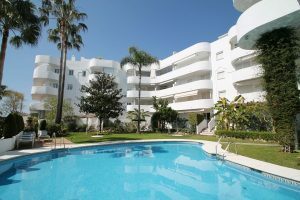 The price of second-hand housing in Spain registered an increase of 1.1% during June, bringing the average per square metre to 1,664 euros. When compared to the same month in 2017 (1,554 euros), the year-on-year increase is 7.1%, according to the latest data from idealista. Prices fell in eight communities in June. The biggest drop was seen in La Rioja, where owners are now asking 1.2% less. It was followed by falls in Extremadura (-0.6%), and Cantabria and Galicia, which both saw prices fall by 0.5%. At the other end of the table we see Madrid recorded the greatest increase with prices rising by 2.3%. The Canary Islands and Catalonia also saw prices rise by 2.2% and 1.8%, respectively. Madrid is the most expensive autonomous community with an average cost per square metre of 2,868 euros. Next are the Balearic Islands where the average has reached 2,653 euros/m². In Euskadi, prices grew to reach 2,528 euros/m². In Andalucía, the average price per square metre reached 1,484 euros in June, 0.6% more than in May. The cheapest communities were Castilla La Mancha (906 euros/m²), Extremadura (920 euros/m²) and Murcia (1,027 euros/m²). 21 provinces saw the price of used housing increase in June. The greatest increase was seen in Las Palmas (2.8%). This was followed by Madrid (2.3%), Barcelona (2%), and Guipúzcoa (2%). The biggest fall was seen in Ávila where prices fell by 2.6%. Price drops were also seen in Teruel (-1.6%) and Lleida (-1.5%). The average price of used property for sale in Málaga increased by 1% in June, to reach 2,034 euros per square metre. The ranking of the most expensive province is led by Madrid. In second place is Barcelona (2,787 euros/m²), with third place going to Guipúzcoa (2,783 euros/m²). Ávila is the cheapest province for second-hand housing with an average cost per square metre of 786 euros. They are followed by Toledo (789 euros/m²) and Ciudad Real (846 euros/m²). During June, the number of capitals to see a price rise was 31. The most pronounced rise was seen in Santa Cruz de Tenerife where owners are now asking 5% more than in May. In Girona, the increase was 3.6%, while in Toledo prices grew by 2.9%. In Madrid, prices increased by 1.8%, while in Barcelona they fell by 0.2%. Ávila, on the other hand, registered the biggest fall with a drop of 3%, followed by Teruel (-1.8%) and Logroño (-1.5%). Barcelona remains the most expensive city in Spain, with an average cost of 4,400 euros/m², followed by San Sebastián (4,279 euros/m²) and Madrid (3,759 euros/m²). Avila, on the other hand, is the most economical at 907 euros/m², followed by Lleida (944 euros/m²) and Castellón (1.025 euros/m²).